DQ Entertainment (International) Ltd has shifted from a largely outsourced model to a co-production model with large animation studios. However, DQE has a limited track record of realising revenues from licensing and distribution. The company has limited experience in Intellectual Property (IP) content creation and has forayed into production of its own IP content. The company’s major chunk of revenues is derived from the US and Europe which contributed 41.57% and 51.18% revenue for FY08 and FY09 respectively. DQE plc, the promoter group company, has incurred a loss of Rs90.71 crore in FY 2008. Television production contributed nearly 91% of its revenues in FY09. Licensing and distribution activities and motion video and game development contributed 5% and 4% respectively. The company’s earnings before interest, tax, depreciation and amortisation (EBITDA) margin has increased to 38.6% in FY09 from 26.6% in FY08. DQE, incorporated in 2007, is engaged in production of animation, visual effects, game art and entertainment content for the Indian and global media and entertainment industry. DQE is a producer, co-producer and global distributor of TV series, direct-to-home (DTH) videos and feature films. Besides, the company has forayed into production and distribution of live action television and feature films. DQE Mauritius, incorporated in Mauritius is a wholly-owned subsidiary of DQE plc, an Isle of Man incorporated entity. DQE currently enjoys tax benefits under Section 10A of the Income-Tax Act, 1961. However, the tax benefits under Section 10A under the current provisions will not be available from 1 April 2011. If the company’s proposal to move its production facilities into an SEZ is delayed, its tax expense will increase, thereby reducing its profitability. “At the upper band of Rs80, the market capitalisation post-issue for DQE would stand at Rs634 crore, which equates to rich valuations—P/E of 20.3x, P/BV of 1.6x and EV/Sales of 2.6x FY2012E. Moreover, a lack of clarity over its business model and a limited execution record in IP creation makes us wary of DQE's growth rates in the future. Hence, we recommend a ‘Neutral’ view on the issue,” said a research report by Angel Securities. According to the prospectus, the proceeds of the issue will be invested in co-production agreements, IP content creation, development of office premises and production facilities, development of infrastructure and additional facilities at the Special Economic Zone (SEZ) Unit, (Kokapet Village, Rangareddy District, Andhra Pradesh) and investment in its subsidiary DQ Entertainment (Ireland) Limited. The issue opened on 8 March 2010 and closes on 10 March 2010. The issue size is Rs120 crore-128crore with a price band of RsRs75–80. The promoters’ holding will be diluted from 94% (earlier) to 75% after the issue. 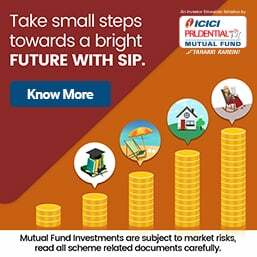 The company recently raised Rs25.70 crore through a pre-initial public offer placement of 0.38 crore shares of Rs68.10 each to certain select investors including Infrastructure Development Finance Company (IDFC) Investment Advisors Ltd.
SBI Capital Markets Ltd is the lead book-running manager for the issue. Fitch has assigned a grade of ‘3’ to the IPO, indicating ‘average fundamentals’. The Reserve Bank of India (RBI) has ordered a special audit of private sector lender Bank of Rajasthan (BoR)'s accounts, suspecting violation of operational norms by the lender, including transparency in lending, reports PTI. The apex bank has appointed Deloitte Haskins and Sells to conduct the special audit. Deloitte is expected to submit the report by the end of this month, which would enable the bank to take corrective measures, primarily the setting up of a credit committee. Confirming this, Bank of Rajasthan's managing director and chief executive, G Padmanabhan, said, "We have requested the auditing firm to wind up the process by end-March, based on which we can take steps if it is on financial aspects, prior to finalising our Q4 results." Amongst the issues being probed by the audit team include provisioning for non-performing assets and super-annuation benefits, accounting integrity issues and credit dispensation, Mr Padmanabhan told PTI. The RBI is apparently not happy with the way BoR offered loans to its corporate clients, which presently forms a significant chunk of the lender's loan-book. "The Bank traditionally did not have a credit committee, which might have come up as a concern with the central bank. I was in the process of setting up the committee when this order came," Mr Padmanabhan said. The bank aims to set up the credit committee—the body that decides credit dispensation issues in banks—"as early as possible," Mr Padmanabhan said. "What is happening is that all other banks have credit committees while we did not have one. These things have to be addressed now," he said. 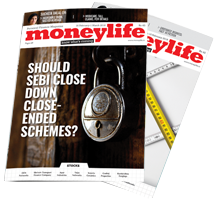 Last month, the RBI imposed a fine of Rs25 lakh on BoR, charging it with violation of a host of norms including irregularities in transactions and misrepresentation of documents. The Bank has since paid the penalty. Penalising the lender, the RBI said that the Bank had failed to adhere to norms pertaining to anti-money laundering, Know Your Customer (KYC) and irregularities in the conduct of accounts of a corporate group. Besides, the apex bank said that BoR has also failed to provide some documents on the grounds that those documents were not available. However, the ongoing issue will not affect the long-term business prospects of the Bank and it has duly addressed the concerns amongst its customers following the RBI's action, Mr Padmanabhan said. "I don't think that there are any significant issues (with clients). I'm not saying that there are no issues at all. But these can be tackled. Specific instances, which have come to us, are being addressed," Mr Padmanabhan said. The Bank started operations in 1943. It has a network of 463 branches across the country and over 20 lakh customers. For the quarter ended December 2009, the net profit of the bank declined to Rs44.70 crore as against Rs49.20 crore in the year-ago period while its total revenues dropped to Rs373.70 crore from Rs419.80 crore. The Supreme Court (SC) on Monday filed an appeal before itself challenging the judgement of the Delhi High Court holding that the office of the Chief Justice of India (CJI) came under the ambit of the Right to Information (RTI) Act and was liable to reveal information under it, reports PTI. The petition, which has been filed after CJI KG Balakrishnan had consultations with his fellow judges, raised the point that information held by the CJI is sensitive in nature and its revelation would hamper the judiciary's independence. The petition, though drafted more than a month ago, was filed today by advocate Devdutt Kamat on behalf of the apex court registry and the case would be argued by Attorney General GE Vahanvati. The apex court will be seeking an immediate stay on the High Court ruling, otherwise it would be under obligation to reveal information under the RTI Act. In a path-breaking verdict, the Delhi High Court had on 12th January held that the office of the Chief Justice of India comes under the purview of the RTI Act and rejected a Supreme Court appeal, saying that judicial independence is not a judge's personal privilege but a responsibility cast upon him. The verdict was being seen as a setback to Mr Balakrishnan, who has consistently been maintaining that his office does not come under the transparency law and hence cannot part with information like disclosure of judges' assets under the RTI Act.